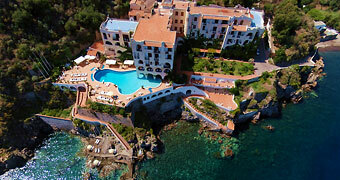 Therasia Resort sea & spa is a luxury hotel situated on the stunningly beautiful island of Vulcano, one of the seven islands which, together, form Sicily's Aeolian archipelago. Hotel Carasco is one of Lipari's oldest and best-loved hotels, just seconds away from the sea which laps Sicily's legendary Aeolian islands. Sun, sea and a spectacular view of Sicily's Aeolian archipelago: a holiday at Hotel Residence Acquacalda, on the island of Lipari. 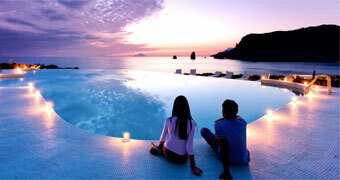 Stunning natural beauty, unique works of art, unforgettable cuisine: Sicily's Aeolian islands. 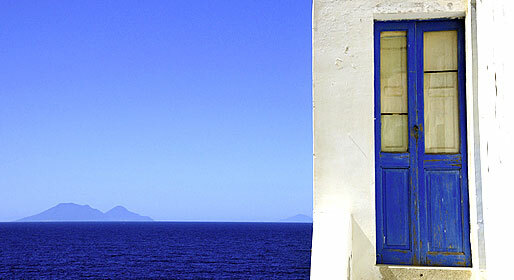 With its nine thousand inhabitants, Lipari is the largest of the islands which make up the Archipelago of the Eolie. 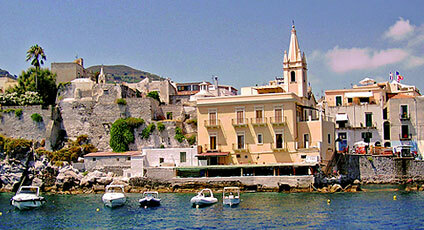 There are five towns: Lipari, Canneto, Acquacalda, Quattropiani and Pianoconte. 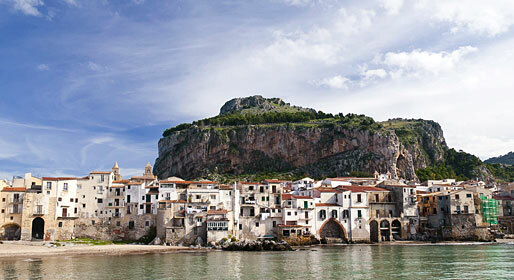 Historically important sites and the natural landscape contribute to its appeal to the tourist. The Eoliano Archeological Museum, the Church of St Giuseppe, the Church of the Anime del Purgatorio, Lipari Castle, the Acropoli, the Tombs dating back to the Greek-Roman era, the Church of the Addolorata, the Church of the Immacolata and the Cathedral of St Bartolomeo are of cultural interest. The landscape is spectacular with white sandy beaches, a crystal clear sea, streams of obsidian, pumice quarries and mountains. From Mount Chirica, the highest of Lipari's mountains, visitors can enjoy a spectacular view over all of the Eolie islands: Filicudi, Alicudi, Salma, Stromboli and Panarea. The wine industry is important, producing the prestigious "Malvasia".